"Thanks so much for everything, super service by you guys - showing the house on weekends, replying to emails on Sundays, dropping off the keys to painter, the stamped & addressed letter to return the lease - night & day compared to an experience I had with a another big brand agency on another property last year. I'll definitely & already have been recommending/ singing your praises. "I have lived outside Ireland for 40 years but bought an apartment in Dublin in 2012 planning to use it for a period each year. I then realized that I would have trouble getting insurance for a properity that would be empty for long periods. So without any references I searched the net for agents who did shortterm lets and saw there were not so many, with the exception of Morrison Estates. After a quick phone call, a meeting was arranged with James Morrison who came to look at my apartment in the Dun Laoire area near a Dart station. We struck a deal and I have been on Morrisons books ever since and after that my apartment has hardly been a day without a client, giving me a very tidy supplement to my pension. Not only that, the tenants that Morrisons have provided have all been top range. I have not received even one complaint from any of my neighbours, nor have they done any damage to my properity. In fact, it is in much better condition having been lived in and heated throughout the year. In addition, Morrisons have addressed any issues connected to maintenance that need attention while I have been away, and have access to all the different services needed. Finally I want to say, that all my dealings with their offices, have been nothing but pleasant and efficient. James, Lisa, Aoife and everyone are committed to giving the best of personal service. They are thorough and methodical and I feel confidient that my affairs are in the best of hands while I am out of the country, and yet my apartment is ready for me when I return each autumn. Morrisons services mean I can keep and maintain my apartment, something that would have been difficult without them, and at the same time, make a tidy return on my investment. A big thank you, and best wishes for our continued cooperation. 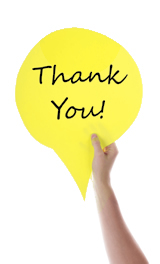 "I am grateful to the team at Morrisons for their excellent work and help with the sale of my property. They worked very hard and ensured that I was kept updated all the time on viewings, progress and feedback, going out of the way to help with the sale. I would recommend them." "I work as a management consultant and was recently in Sandyford Dublin working on a three month project. I got in touch with Morrison Estates short let team a month before I was due to move and I can’t recommend the service enough. I wanted to live in a safe area with a short commute. The advice I received was second to none. The Morrison Estates team has an in-depth knowledge of the Dublin market and they were able to suggest areas which suited my requirements to a tee. I turned up at the property the day before my first day on the job with just my suitcase and settled in immediately. Two months down the line, I’m delighted with the property and the area. Morrison Estates will be front of mind the next time I’m working away from home for any length of time."